Affordable housing must be getting scarce given all the small "well worn" apartment buildings vanishing. Where are folks on small incomes supposed to live? Montreal apartment buildings are not being renovated and still look ugly even if they convert them to expensive condos. They don't believe in nice landscapes either. Pathetic. And the amount that they ask for a junkie apartment with old flooring and rotting windows is also pathetic. 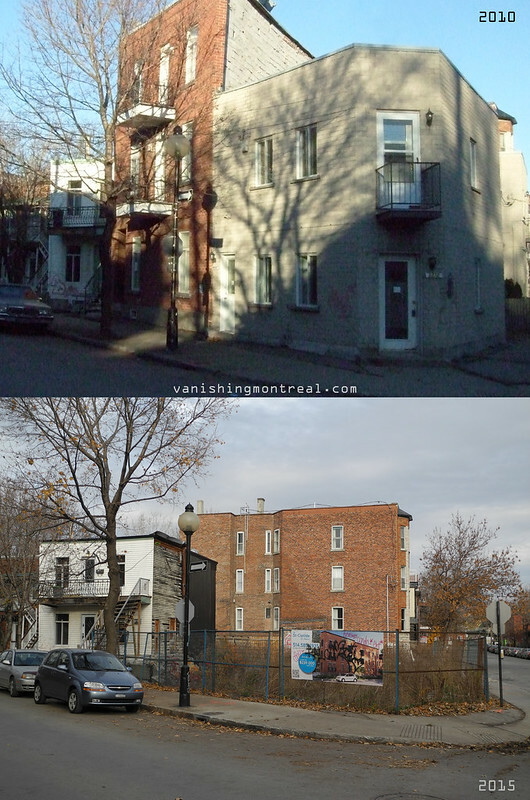 Just look how ugly Cote des neiges/Outremont has become.